Competed in my first Olympic Lifting meet on Sunday - sort of. I was able to complete all three snatches - 53, 61, and 70kg (154#). These were all power snatches as I am still nervous getting under the bar. Before the clean & jerk portion, I got a call from Katie that her car broke down in southern Rhode Island. We had a busy afternoon of other commitments, so I had to bail on the comp and go get Katie. It was disappointing to quit before finishing since I had put a lot of work into getting ready over the prior few weeks. But, there will be other comps and family still comes first. 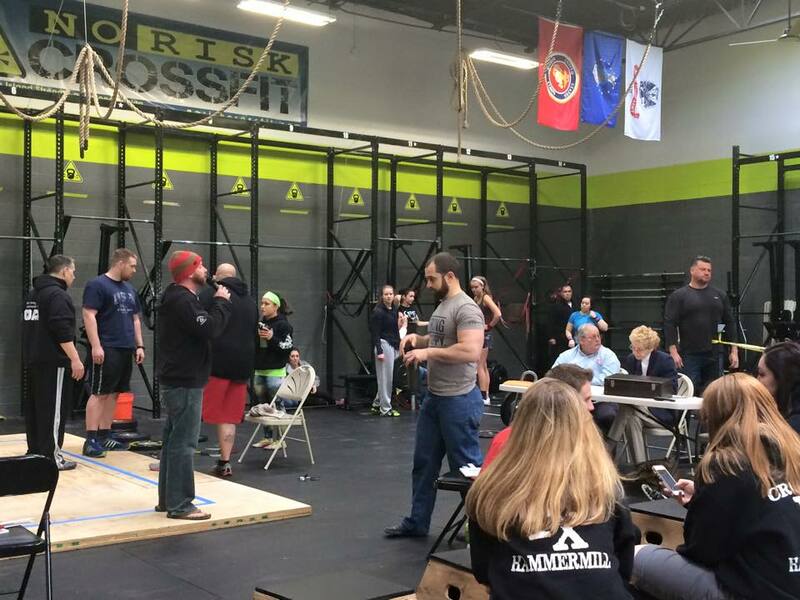 The meet was at No Risk CrossFit, and they put on a good event. I wasn't going to win, but it was fun to try a new type of competition.